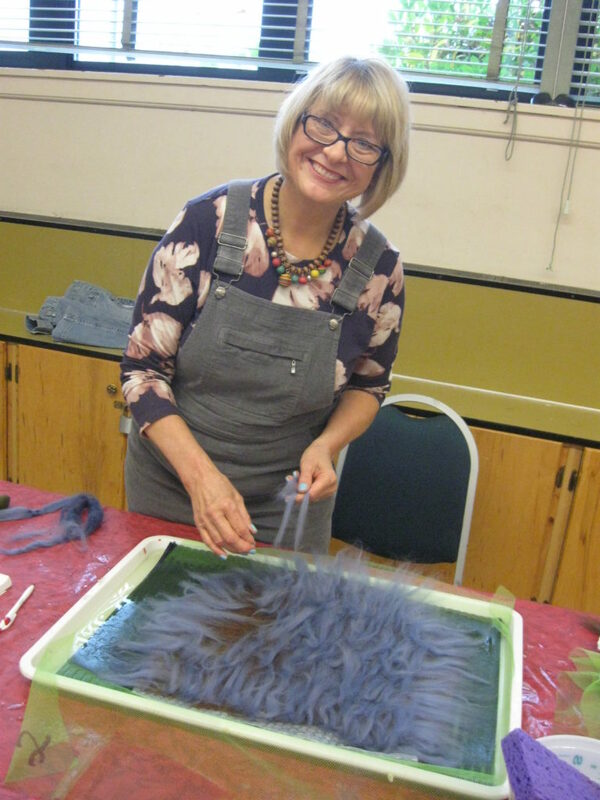 The Multnomah Arts Center offers textile classes for adults and youth year round. Below is a listing of some of our typical class offerings. Weaving runs the gamut of wall pieces, window treatments, rugs, upholstery, runners, shawls, scarves, and other garments. Study begins with calculating yardage, warping for a sampler, explanation of looms and fibers, dressing the loom, drafting, rolling bobbins, and throwing a shuttle. Finishing of the fabric includes washing, edges, joins, hems, and embellishments. Intermediate students design and produce more complex works. Knitting is an artform from which you can create sweaters, scarves, hats, home decor, and works of art. Learn basic skills including casting on and off, purling, correcting mistakes, pattern reading, and finishing. Beyond basics include lace work, cables, and color. This versatile technique can be used to adhere layers of fabric and yarn without sewing or glue. Create felt from roving without water. Felting offerings include needle felting, felted totes, hats, creatures, and adding embellishments including handles, rops, closures, and creative decorations. Imagine the beauty of your handmade textiles made with yarn you have spun yourself. 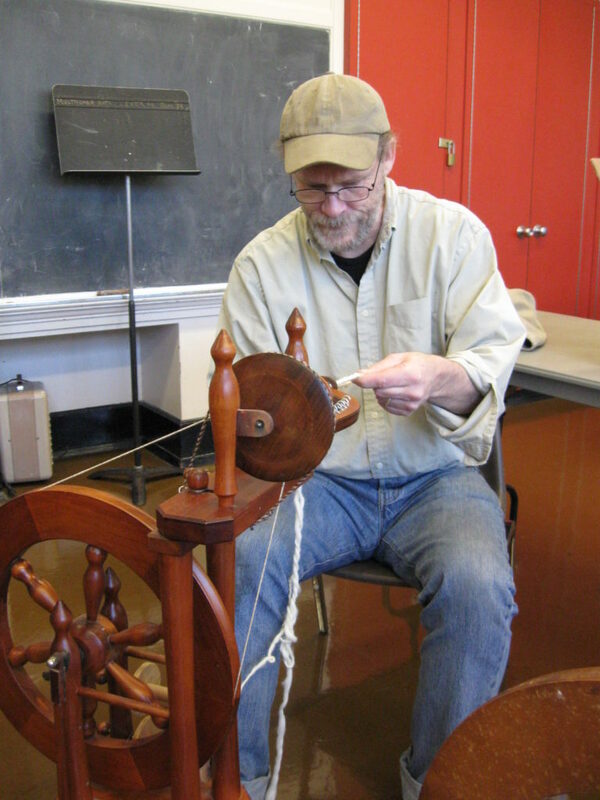 Study covers fiber choice and preparation, flick carding, sprinning, winding on, plying, making a skein, setting the twist, making a ball, hand carding, spinning from the fold, balanced singles thread, using a ballwinder, and care of the wheel. Create unique works of art using dye. 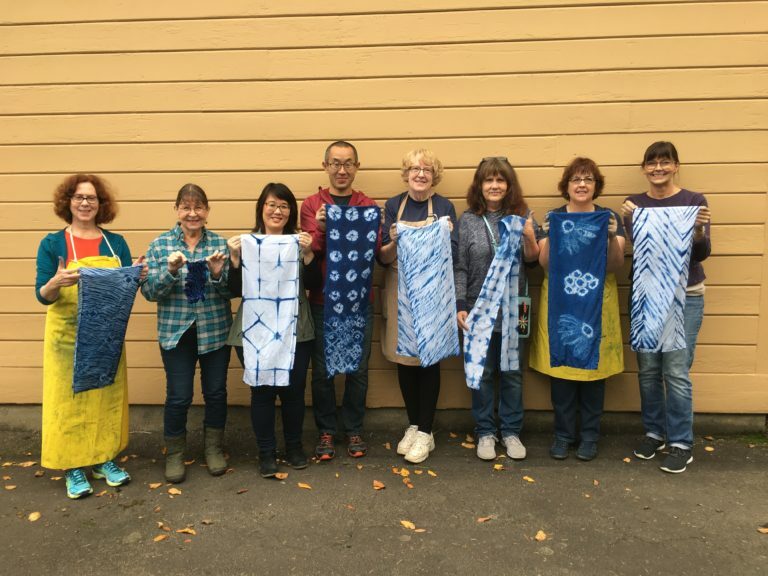 Methods include tie dye, shibori, hand painting yarn, and ikat. Learn to design beautiful patterns on a variety of materials including yarn, silk, rayon, or cotton. Basketry is the process of weaving baskets or other similar forms using a variety of fibros or pliable material-anything that will bend and form a shape. Specific basketry techniques offered include pine needle, cherokee, round reed, vine, grid, ridge, and arrow weave.